Asian American LEAD Updates! : AALEAD's Annual Dinner: The Silent Auction. Take a look! AALEAD's Annual Dinner: The Silent Auction. Take a look! Indulge in world-class accommodations and lavish personal service during your two-night, weekend stay at the San Diego Marriott Del Mar, a seaside hideaway 20 minutes north of downtown San Diego and just south of Solana Beach. After bathing in the sun and surfing on the waves, why not soak up the sights and sounds of shopping at the historic Del Mar Downtown Historic Village, exciting events at the Del Mar Fairgrounds, golf at Torrey Pines or horse racing at the Del Mar Racetrack? You also won’t want to miss out on the chance to sample sumptuous, award-winning cuisine at the Marriott Del Mar’s trendy restaurant, Arterra. Finally, relax and unwind with cocktails and fresh sushi at the outdoor lounge, as you watch the sun set over the tranquil ocean waters. Restrictions: Weekend only. Expires May 31, 2010. 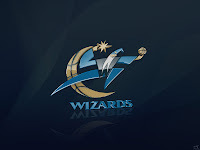 Your hometown Washington Wizards are playing the record-breaking New Jersey Nets on Sunday, April 4th. Bid on 12 suite tickets and see the game from incredible floor seating in the Verizon Center. Enjoy perfect views so close to the game’s action. The tickets include 2 executive suite parking passes. Welcome to Paradise. There is no better way to bask among soaring palm trees, blooming native flowers, and sweeping ocean views than during a week-long vacation at our Truman Annex Condo in Key West, complete with $1,100 cash for all your travel-related needs. Just two blocks from the renowned nightlife of Duval Street, the two-bedroom condo is in an optimal location for the quintessential Key West for all your travel-related needs. With two bedrooms (a queen bed in the master and two twin beds in the guest room), two full bathrooms, a kitchen, family room, in-house laundry facilities, cable, and WiFi, you can bring the whole family along! Stroll from storefront to restaurant to museum all morning, jet ski all around the coast and go diving in America's only living barrier reef, then watch the acts on Mallory Square at sunset. Return home for a relaxing soak in the nearby association pool or your own personal hot tub before drying off on the secluded back deck, replete with comfortable furniture and your very own barbeque grill. Last but not least, cap off your delightful stay with an all-expense-paid fishing trip! Like we said - Paradise. Restrictions: Must be used by March 1, 2011, Subject to availability, Maximum occupancy of 4, Fishing trip is subject to weather conditions and includes bait, tackle and license fees. Come see the Washington Nationals and their new #1 draft pick star pitcher Stephen Strasburg! Bid on a complete box suite which includes: 22 tickets, 4 guest passes (allows any 4 friends from other seats to come sit in the suite), and 4 parking passes. 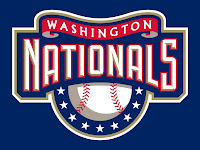 Choose from any baseball game this season when the Nationals play potential playoff contention teams such as the Philadelphia Phillies, Chicago Cubs, St. Louis Cardinals, or New York Mets. If there is one place that embodies the romance, serenity and physical beauty of nature on the East Coast, it's Maryland's very own Deep Creek Lake. Enjoy the best vacation you've ever had with a 4-day, 3-night stay at a luxurious 5 bedroom home that accommodates up to 14 people. Throughout this handsome cedar chalet perched among the treetops, encounter casually elegant cathedral ceilings, large windows, and a stone fireplace. Escape into complete privacy during a relaxing soak in the master suite’s jetted Jacuzzi, or allow the tranquility of nature to surround you as you enjoy the intimate view from the spacious wraparound deck. Best of all, this hideaway spot is conveniently located, and you'll find restaurants, lake activities and the ski slopes all within 5 minutes away. Restrictions: Must be redeemed between April 5th and May 10th, 2010, subject to availability.